Finally had a chance to use the 16cm Walu Weedfins/ 9cm side fin combo. Very tough conditions with nearly dead onshore wind (10 degrees from being dead onshore), 17-18 mph, waist to shoulder crunchy, short period waves at St. George Island, Fla. Used the Goya 84 Quad and 5.3 Naish Session. Fins worked incredibly well, really helped getting out through the break as they footed well to get around large whitewater, then pointed very high to pinch up a shoulder to avoid a big pitching section. 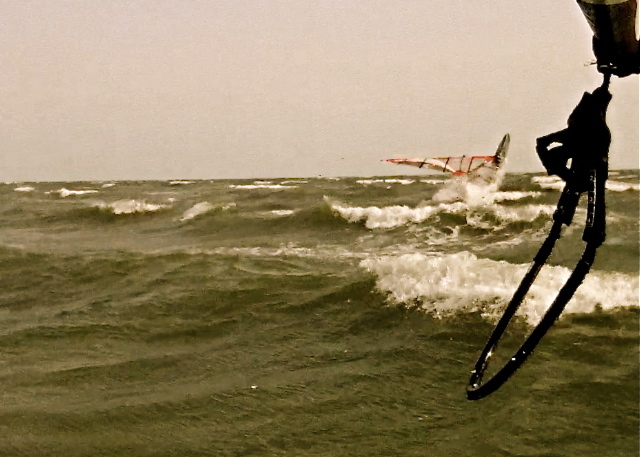 Very light wind in the break, so the 16 cm fins were absolutely necessary. Outside, they planed up very early, much earlier than my MFC 300 stock fins, so staying upwind was very easy, especially as they outpointed the MFC fins too. Weeds were pretty widespread, but no problems. Even though slightly larger than the stock fins, the Walu Weedfins were much looser and more fun than the stock fins, which are fairly upright. Thanks very much for recommending the 16cm for my 5.3, as the entire rig and board felt much better, with a ton of control in the very bumpy, chaotic conditions. My buddy on a single weedfin and 88 liter Fanatic waveboard was not enjoying life. I like your fins so much, I will probably just sail weedfins all the time now—although I might have to try your standard fins when the winter comes. Brilliant job.